$13! 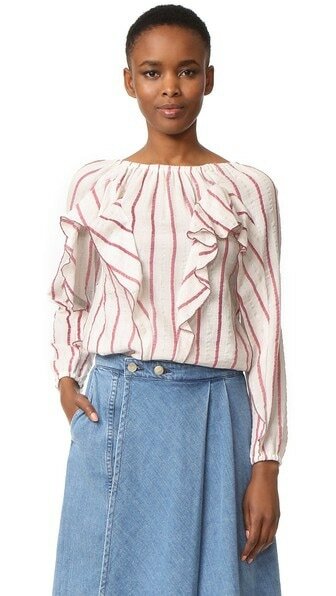 I am obsessed with this ruffled pinstripe babydoll shirt and the price is so right. I wore it on my way down to Mom 2.0 because I knew that I had a hectic travel day ahead of me and thank goodness I did. It’s so casual and comfortable and made my travels that much easier. We all know how difficult those long plane rides can be. This is the type of shirt you need for days when you still want to look like you made an effort, but you don’t want to feel constricted. 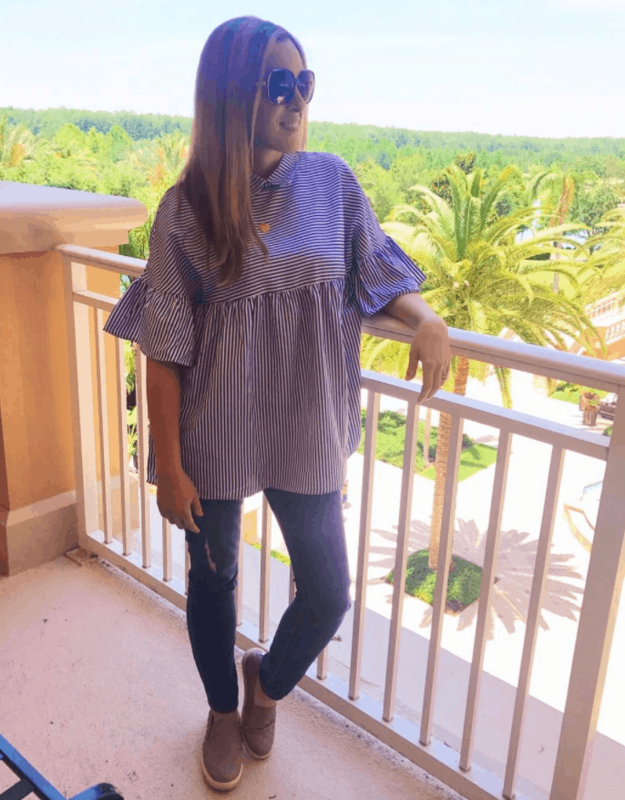 I pair my babydoll shirt with a pair of skinny jeans and flats. Like I said – travel day! But if you want to really turn this look up, throw on a pair of leggings and heels and enjoy a night out on the town. Here’s another option for a ruffled striped shirt, but the price is much higher. It does offer a different look though. Giving you a few options. 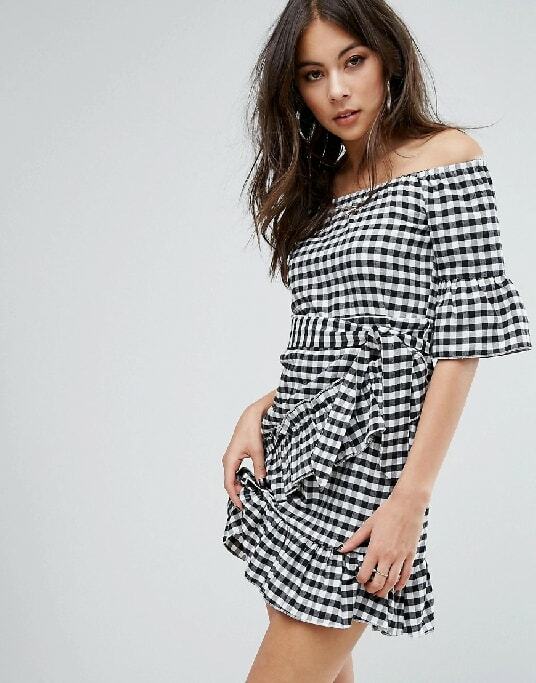 If you are looking for the same type of sleeve, I found this amazing Gingham Frill dress. I AM OBSESSED WITH IT. Which look do you like the best? Would love to hear.